Our remarkable Camp Barney Medintz community includes former campers and staff members who have made Barney their summer home and an integral part of their lives since the summer of 1963! We are a community from Atlanta, around the Southeast, the United States and from many other countries. We share a love for Barney and a respect for the great impact it had on our lives. We are thankful for the lifelong friends that we made and the connection to our Jewish culture we established. We are so grateful for the many summers of pure fun we enjoyed. We hope you will stay in touch with us. Join us at our Open Houses, Alumni Day, and other events throughout the year. 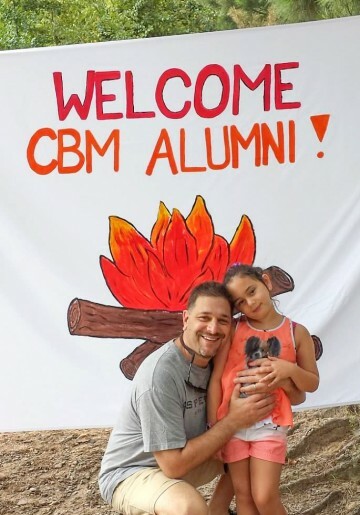 Like us on Facebook, join our alumni group so we can reach you with CBM news, and join our alumni email list so you can receive our alumni newsletter. Currently registered alumni can click here to log in. We thank you for being a part of the Barney community and we look forward to many more good times together.